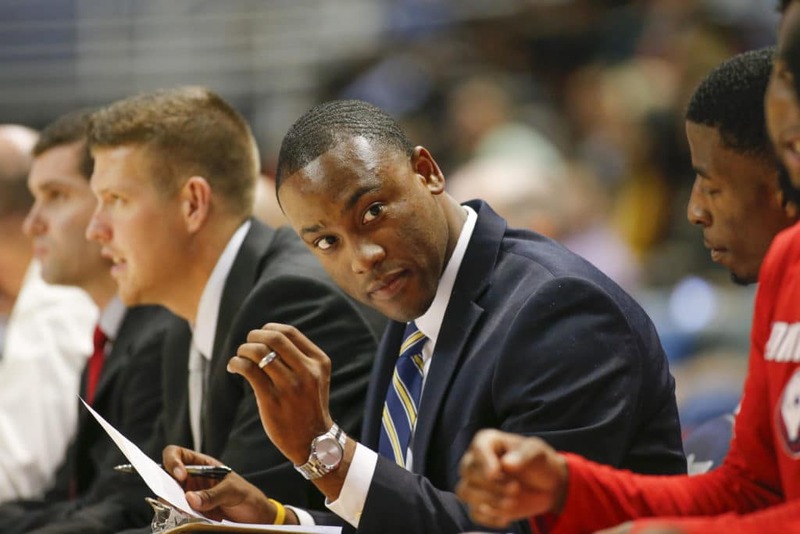 This article was written by University of South Alabama Graduate Assistant Andrew Steele. From my earliest memories, I knew I wanted to be a professional athlete when I grew up. Whether it was a basketball or football player, it didn't matter, just as long as I was going to be able to play the game that I loved. However, for my first serious Career Day at school in 5th grade, I dressed up as a coach. Fast forward to my redshirt sophomore season at the University of Alabama in 2010-11. After missing a majority of the previous season due to a stress fracture in my ankle and the first 13 of games that 2010-11 season, I had a lot of time to view the game differently. It killed me not to be able to play for over a full year, but what happened during that timeframe has changed my life forever. It was during that period, one of the hardest of my life, that I discovered my true passion in life: coaching. I was typically a leader on all the teams that I played for, not because I was always the most talented, but because of my ability to connect seamlessly with my coaches and teammates. I considered myself a coach on the court, and I took tremendous pride in that role. So, it came as no surprise that once my college eligibility was up, the natural step would be to transition into coaching. After I finished playing in 2013, I planned to stay on at Alabama as a Graduate Assistant. I had constant conversations with my coach, Anthony Grant, about my future after basketball because we thought that day had come a lot earlier than it actually did. The short story is that I had a concussion near the end of the 2010-11 season, and after constant monitoring throughout that following offseason and summer, the symptoms never got better. Thus, I decided to move into coaching, getting invaluable experience as a student assistant to start the 2011-12 season. In January 2012, I finally healed well enough to return to playing, but the coaching seed was already planted in me. So, when my eligibility was done, I knew what the next step was. At least I thought I knew. Instead of becoming a GA, I took a job as a marketer with a nonprofit dental company and traveled throughout the state of Alabama talking to kids about the importance of doing the right things. Part of my talk would be for me to incorporate my basketball experiences, and the conversations would end with me playing basketball with the kids and signing pictures from when I played at Alabama. I was never far away from basketball, even when I thought I wanted to be. The biggest blessing that happened was that my boss decided to keep me stationed in Birmingham at the last minute, instead of moving me to Huntsville as initially planned. That decision allowed me to be an assistant coach at my alma mater, John Carroll Catholic High School, and that experience as a coach furthered my conviction that coaching is what God was calling me to do. I planned to go back to UA as a grad assistant, but the head coach I worked under at JC retired, and I was presented with the opportunity of a lifetime. I was offered my first head coaching job at the age of 23, and it was at my alma mater of all places. The same place that helped mold me into the man I am today would be the same place that launched my coaching career. In the back of my mind, I always knew I wanted to coach in college, but the opportunity to be a head coach was simply too good to pass up. There are times that I question if I made the right decision, wondering if those two years at John Carroll slowed my progression through the college ranks. But, those two seasons as a head coach will stay with me for the rest of my life. The lessons that I learned, both good and bad, both easy and hard, will undoubtedly help when I am someday a college head coach. It will surely help me when I am promoted to Assistant Coach, and it has helped me in my current role as a GA. As painful as it was to leave John Carroll, I knew it had to be done if I were ever to fulfill my dream. As excited as I was to start a new chapter, I was equally sad about leaving my old one behind. Never in my wildest dreams did I ever think that I would get so attached to my high school kids, but I truly love each of them like the little brothers I never had. From coaching those kids, I learned firsthand that they do not care how much you know until they know how you care. I know it is a coaching cliché, but kids can tell when you are genuine and when you are not. That group gave me everything they had, and I believe that a coach can ask for nothing more of his team. No matter how far I hopefully go in my career, that group will always hold a special place in my heart. In taking this job at South Alabama, I have grown even more as a coach and person than I could have ever hoped to in such a short period. A significant part of that is because of my wife, Brittany, who has been so supportive that words cannot do it justice. Without her, I would not have a great shot to be successful in life, much less coaching, so I can never fully repay her for what she has done. My time here at the University of South Alabama has shown me so many things that go into running a college program that it even shocked me, and I considered myself an insider. Again, I would not trade these experiences, as I know all the things I have learned and the truly wonderful people that I have worked with will stay will remain relevant factors in my life going forward. My advice to aspiring coaches would be to take a risk on yourselves and follow your dreams. No one on this earth can see into the future, so I believe that faith is extremely important. I am not one to quote Bible verses at the drop of a dime, but my relationship with Jesus Christ is the most important thing in life. That belief in His promise is what drives me every day, so I know that I am in good hands all the time. So, while faith is important, faith without work is dead. If you want to be successful in this business, you cannot be afraid to take risks. And if you are blessed enough to land a job, work as hard as you can at the job you have. Your work in the job you have is the best indicator of your potential in a future job, and you only get one chance to make a first impression. I believe that “luck” is when hard work meets opportunity, and there is so much beauty in that concept. We can control the hard work, but we cannot control who opens the doors of opportunity. The good thing for me is I know who does control those doors of opportunity, and He has yet to let me down. I work with Andrew everyday. He is a rising star. Great article from an outstanding young coach!